High quality makeup brushes can cost hundreds of dollars with a single brush from high-end companies coming in at $50 or more. The results makeup lovers can get from these high priced brushes is undeniable, but not everyone who has an eye for technique wants to spend a ton of money getting the results they need. Thankfully, it is easy to find makeup brushes that will do the job for a lot less. The following are all available for under $30 on Amazon. 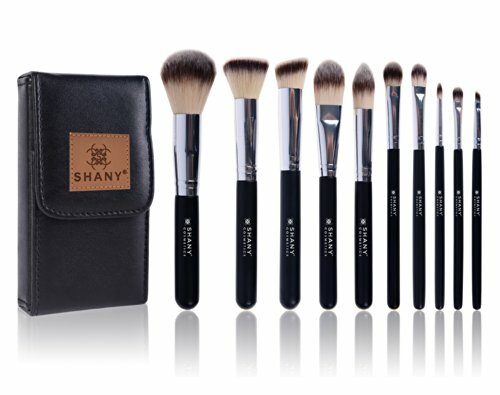 This set has great value for 6 brushes, brush cleaner and a brush roll. e.l.f. is known for selling super affordable cosmetics that actually work pretty well. The company’s brushes are no different. 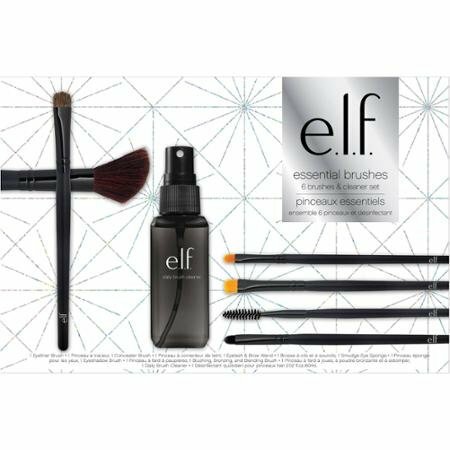 This set has an eye shadow brush, a blending smudge brush, eyeliner brush, face brush, eyelash/brow wand and concealer brush. All of the brushes work a treat, but the blending eye brush stands out as an easy way to created blended and smoky eye looks. 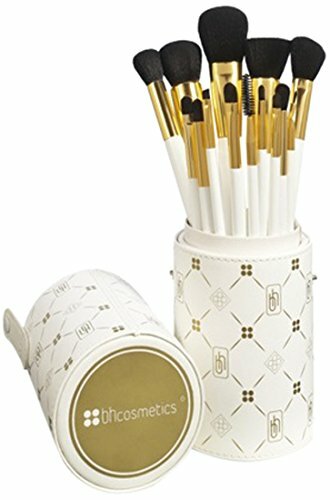 When it comes to the number of brushes for a buck, this set from BH Cosmetics comes out ahead. It has 15 brushes and a brush roll, making it a 16-piece set, technically. With numerous sizes for eye shadow application, creating the latest looks is simple. There are plenty of options for foundation and blush application too. The contents are a spooley brush, lash and brow comb/brush, eyeliner brush, detailing brush, angled liner brush, shadow brush, smudge brush, blending brush, shading brush, foundation brush, blush brush and more. The handles are a cute rose gold and fit nicely in the included auburn brush roll. 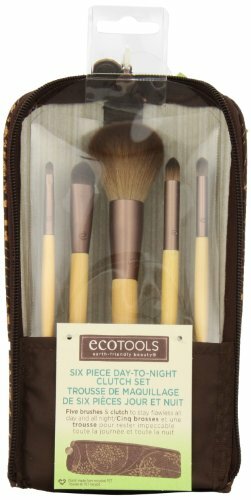 EcoTools makes some seriously hard working brushes at a price that is great. 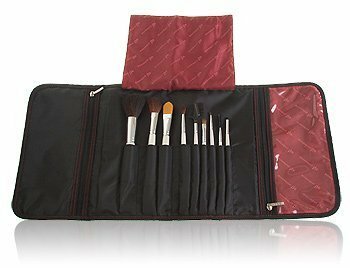 This particular set comes with 5 essential brushes and an adorable clutch carrying case. The brushes are a face brush that works for both blush and foundation, lip brush, concealer brush, eye shadow brush and smudge brush. The bristles on these brushes are as smooth and sturdy as those on much pricier brushes, so women who are going to use them frequently can depend on them. This set from Real Techniques is all about the eyes. It comes with a smudger, eyeliner brush, brow brush, shadow brush and crease brush. It also comes with a case for the set. The bristles on these brushes are ultra plush for a really soft feel. 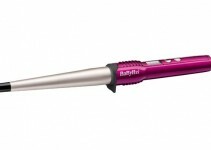 The handles are lightweight aluminum and a pretty purple color. The best part is that the company developed these brushes cruelty free, so no animals were hurt in the making of these cute eye makeup tools. 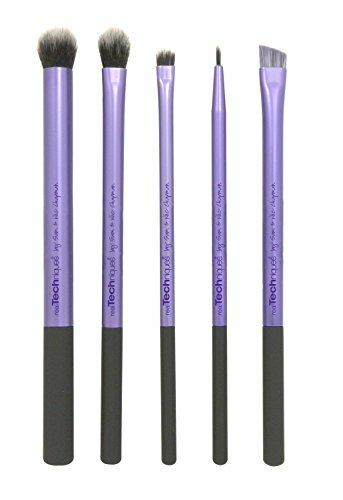 For those who prefer small brushes that can easily tuck away in a purse or clutch, this little 4-piece set is perfect. 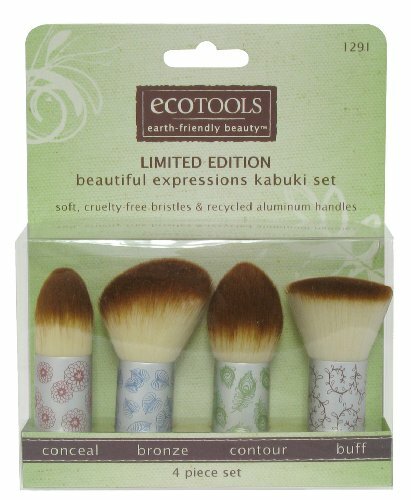 The brushes have the quality and great feel of the standard brushes by EcoTools, but with a short and stubby profile. This set is all about the face with concealer, buffing, bronzing and contouring brushes. The handles are aluminum with artistic patterns printed on them. They are just long enough for grasping securely enough to apply makeup. 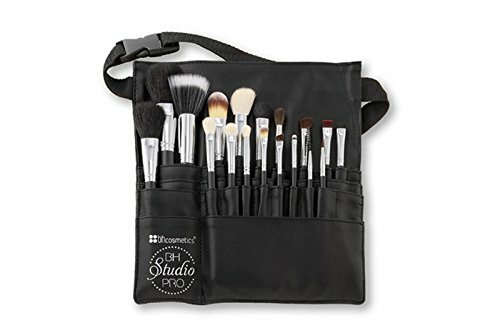 This brush set from Coastal Scents has a sleek professional look. 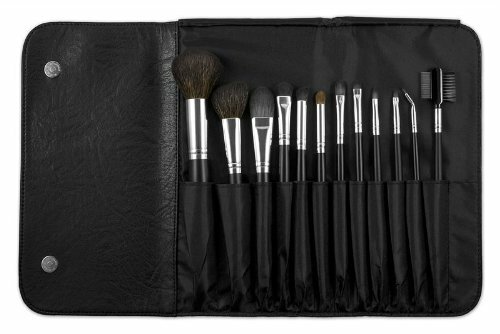 The brushes are all black and come tucked neatly into a black leather-look carrying case. The brush bristles are a combination of natural and synthetic fibers for great feel and performance. The set has lash and brow comb/brush, eyeliner, detailing, angled liner, shadow, smudge and face brushes. Each of the brushes and the carrying case are stamped with the Coastal Scents logo, and the brushes feature a part number for easy replacement. Shany is a low cost cosmetics company that has some fantastic eye shadow and blush colors. Their sets are perfect for beginners and confident makeup artists. They also sell a range of brushes, some of which are okay and others that are much better. This pro set is one of their more reliable choices. It features powder, foundation, bronzer, eye shadow, blush, concealer, and contour brushes. It also has a sleek black carrying case that is compact and sturdy. All of the brushes are cruelty free. Shany is an active member of PETA. Makeup artists who do more than just a bit of application at home and need to stick to a budget should try this set from BH Cosmetics. It has 18 of the most popular and useable brush styles, from blush application to eye lining, and it comes with a handy adjustable tool belt. It clips around the waist securely for easy access to this complete set. The synthetic bristles are soft and manageable while the leather-look carrying case offers a professional look that can enhance a beauty business. e.l.f. makes brush sets for everyday use that are affordable and easy-to-use. 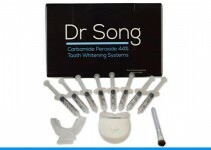 The company also makes affordable pro options that are a bit sturdier and cater to makeup artists. Are they going to hold up against a MAC set? Maybe not, but the price point is extraordinarily better. The set comes with an artist roll, eye sponge, several eye brushes, a foundation brush, lip brush, brow brush/comb and a eyeliner brush. This basic set is enough to do most looks and can be supplemented with additional e.l.f. pro brushes for just a few dollars apiece. 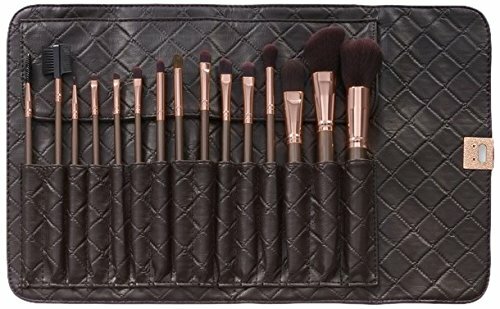 This brush set has a lot of similar characteristics to the 15-piece rose gold set offered by BH Cosmetics. It has all of the detailing and lining brushes anyone would need, face brushes, a spooley and a brow brush/comb. What stands out about this set is a classy white and gold design. The brushes are white with gold necks. They come in a cup-style carrying case with a gold and white design of its own. The cup has a cover for easy travelling. Any of these 10 brush sets would work perfectly for the average at-home makeup artist and even some professionals. Beside the value, users get nice looking brushes that stand up to regular use. When shopping for these on Amazon, beware of counterfeit goods. If a deal for expensive brushes looks to good to be true, it most likely is. Most retailers have their very own Amazon storefronts, so the easy way to be sure is to check to see who is selling it. It’s better to buy an affordable brand like those listed above than to purchase a knockoff from a disreputable seller.